Art drying racks for Classrooms makes sure every child�s masterpiece has a chance to dry completely and separately from other work. Tabletop art drying racks are perfect for smaller art projects, while floor standing art drying racks work well for Children�s Easel sized paintings. 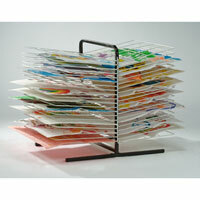 If your room doesn�t have a lot of floor space and table space is valuable, try a wall mounted art drying rack. 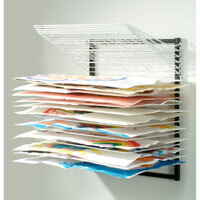 Although it is not a double sided drying rack, it can be hung up and out of reach for fast, uninterrupted drying. Once the art is fully dry and ready, store it in a child�s Cubby and send it home to the parents!